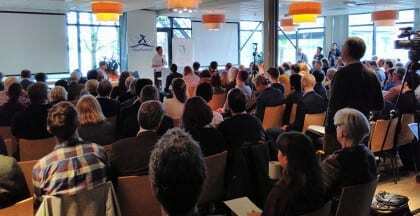 On 30 January 2016, BasisInkomen, the Dutch association for a basic income, hosted the International Congress on Basic Income Experiments in Maastricht, Netherlands, to celebrate its 25th anniversary. This was an opportunity for those interested in the idea of a basic income to come together to reflect on recent developments – particularly in the Netherlands, Finland and France – and look towards the future. Keynote speakers included Julia Backhaus, Sjir Hoeijmakers, Stanislas Jourdan, Markus Kanerva, Otto Lehto, Philippe van Parijs, Bono Pel, Guy Standing and Nicole Teke. This article is a summary of the key points from the congress. Guy Standing opened the congress by reflecting on the journey that the basic income idea has made over the previous 30 years: from the impossible to the ridiculous to the absurd and now perhaps even to the cusp of the inevitable. Two key themes ran through Guy Standing’s presentation: the necessity for further experimentation in order to gain political legitimation and, moreover, the importance of designing these experiments based on normative principles of social justice, such as wealth redistribution and social emancipation. If political legitimation can be won, based on principles of social justice, then a basic income will provide a pathway toward a dignified life for individuals within a good society — a society in which the collective wealth of the community is shared equally within and across generations, and in which each individual makes a moral commitment to actively participate in society. The idea of a basic income represents a rejection of the opportunistic politics of today in favour of a positive vision for tomorrow’s good society. 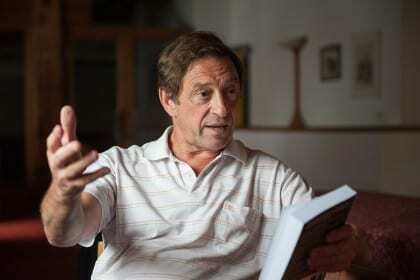 After Guy Standing’s expansive introductory speech, discussion turned to the details of social experiments currently being planned in the Netherlands, Finland and France. In each case, recent developments demonstrate broad support for some type of basic income across the political spectrum. In the Netherlands, nineteen municipalities are currently developing some form of social security experiment, which will remove the condition that beneficiaries must participate in workfare schemes, and tackle the poverty trap that beneficiaries experience when transitioning between the social security system and work. While many of these municipalities initially proposed introducing a basic income as part of the experiment, current legislative restrictions have limited this number to three. Four municipalities have lobbied the Dutch Ministry for Social Security and Employment to revise these legal restrictions, though the government has yet to respond. Despite this legal scuffle, the proposed Dutch experiments reveal widespread support for a basic income experiment across the political spectrum, with each major political party represented among the nineteen municipalities. In Finland, the government has proposed a number of social experiments, including a basic income experiment. The government’s aim is to better align social policy with societal demands, as well as to reduce disincentives to work and decrease the role of bureaucratic processes in social security. A research consortium led by Kela, a government agency responsible for social security payments, is responsible for designing and implementing the basic income experiment. A first hearing for the basic income experiment was held on 5 December 2015, while a preliminary report will be released on 30 March 2016 and a final hearing will be held on 15 November 2016. A budget of €20 million has been allocated to the basic income experiment, which is expected to begin in 2017 and last two years. Different variations of a basic income are currently being considered, including a ‘full’ basic income, a ‘partial’ basic income, a negative income tax and a participation income. The models propose a basic income of between €400 and €1,200 per participant per month, with many models retaining supplementary allowances. One major challenge is the constitutional requirement to treat all citizens equally. To meet this requirement, participation in the experiment will be voluntary. A basic income experiment enjoys broad public support across voters of all major political parties in Finland, and recent public opinion polling indicates that more than 50% of the public supports the idea. In France, parliamentary support for a basic income has been increasing. Current proponents include Jean Desessard MP (Green Party), Frédéric Lefebvre MP (Les Républicains), and Gaetan Gorce MP and Delphine Batho MP (Parti Socialiste). Furthermore, the Minister of Economy, Industry and Digital Affairs Emmanuel Macron expressed support for the idea of a basic income and a government agency on digital affairs recommended introducing a basic income experiment. In addition, the Sirugue Commission, a parliamentary working group led by Christophe Sirugue MP (Parti Socialiste), is under increasing pressure to examine the case for a basic income experiment as part of its comprehensive review into the existing social security system. Meanwhile, the regional coalition government in Aquitaine is developing its own proposal for a basic income experiment. However, social security policy is a departmental rather than regional competency, and the regional governmental tier is currently being restructured with welfare allowances likely to become a central government competency, which might pose difficulties for regional experimentation. All such experiments, however, will be limited in what they are able to prove. In his presentation, Philippe van Parijs challenged the audience to reflect on three such limitations. First, an individual is likely to make different labour market decisions depending on whether the basic income is temporary or permanent, which will distort the effect on labour supply. Second, participants receiving a basic income within an experiment will only account for a small fraction of the total labour force rather than the whole labour force, which will distort the effect on labour demand. Third, voluntary participation in the experiments will likely attract net beneficiaries rather than net contributors, which will distort the effect on financing. Philippe van Parijs then articulated the social justice case for a basic income: a basic income is an intergenerational redistribution of the currently unfair and uneven allocation of the efforts of previous generations as well as accessible natural resources. Furthermore, a basic income is a gift, which deserves a counter gift. If this counter gift were a commitment to actively participate in society, it could nurture a renewed ethics of responsibility. This is a strong case for a basic income, which exceeds the scope of the experiments planned in the Netherlands, Finland, France and elsewhere. In all, the congress was one of optimism buoyed by a sense that the basic income movement is on the cusp of something momentous. The various developments in the Netherlands, Finland and France were also a reminder that if we truly want change, we can find a form for that change that fits our unique circumstances. We are not restricted by whether our political systems are centralised or decentralised, majoritarian or multi-party, left or right, a republic or a constitutional monarchy – we our restricted only by our imaginations and our tenacity. Jonny West has written 3 articles.